"Borobudur Masterpiece" as a tourism manager attempts to interpret the value of the Borobudur Temple building that has become the world's cultural heritage. 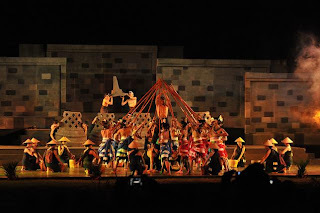 "Ballet is an effort to interpret because the building of Borobudur Temple is considered as a monument to the dead, but has a high cultural significance and character development to capital for the nation," said Secretary of PT Taman Wisata Candi Borobubudur, Prambanan, and Ratu Boko, Bambang Subandono, in Borobudur, Magelang District, Friday (21/05/2010). Ballet performances his side will hold it on Saturday (05/22/2010) night in the open stage Aksobya, south-east foot of Borobudur temple involved hundreds of artists with a mix of Indonesian Arts Institute (ISI) Surakarta, with the artist’s area of Borobudur Temple. During the year 2010 it held four times those ballet performances. 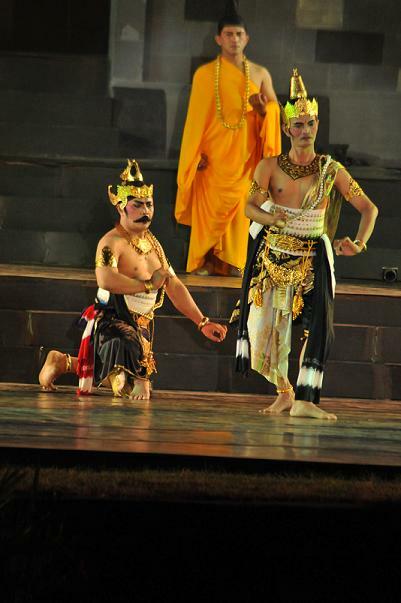 Ballet tells the story of the history of temple building in the 8th century it has been staged regularly since the last five years at the Borobudur Temple. 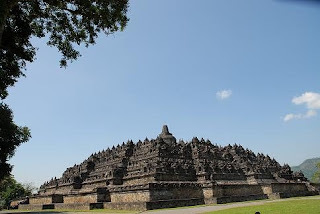 It is not just introducing the Borobudur Temple as heritage buildings, but also the important values embodied in that world cultural heritage. 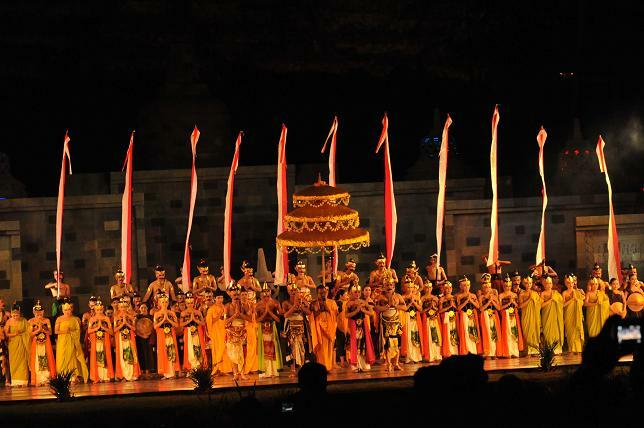 He expects more people develop an appreciation of Borobudur temple through the ballet. "Of course Borobudur be the pride of the nation, can be appreciated by the nation itself as a personality nation," he said, accompanied by Head of Borobudur Tourism Park unit Suwarno Pujo. He acknowledged, during the last five years it is still build products that ballet was more widely known by the public. "It still needs all the publicity and the mobility of our forces in order to 'Borobudur Masterpiece' will be known," he said. Performances on Saturday (22/05/2010) night, he said, planned to watch the business and cultural observers, mainly from Jakarta as well as foreign tourists. YOGYAKARTA, PT Taman Wisata Candi Borobudur Prambanan and Ratu Boko (TWCBPRB) in the near future will hold back on stage ballet Borobudur Masterpiece Aksobya open at Borobudur Temple, Magelang regency, Central Java. 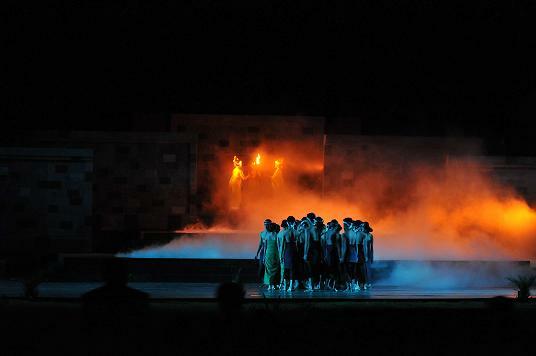 Director of Marketing and Development PT TWCBPRB, Agus Cany in Yogyakarta, Wednesday, said the ballet Borobudur Masterpiece for 2009 is scheduled to stage four times in a row, on May 2, June 12, July 24 and August 14. 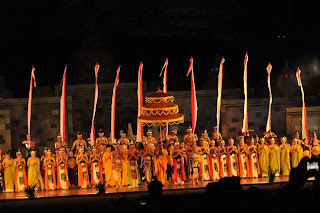 Didamping president director of PT TWCBPRB, Poernomo and other board members in relation gathering in Yogyakarta, he said the ballet stage aims to attract tourists visited Borobudur Temple as well as providing additional tourist activities at night in such a tourist attraction. "To support this activity as much as 13 travel agency in Jakarta expressed readiness to promote the ballet stage and confirmed at the premiere will be attended by some ministers," he said. According to him, he provides 800 seats for tourists who want to watch ballet performances are held at the open stage Aksobya. 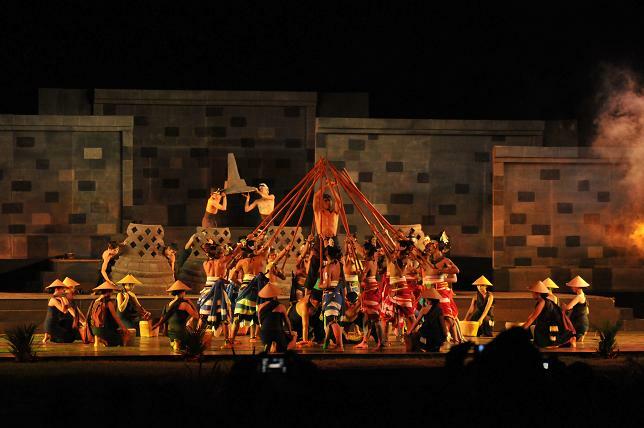 "Ballet Masterpieces Borobudur is a story about the development of Borobudur and played by local artists working with dance artists from the Institut Seni Indonesia (ISI) Surakarta," he said. 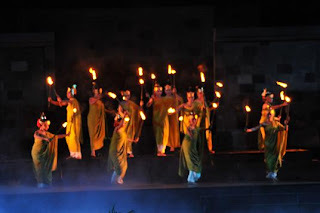 Ballet performances is expected to increase the number of tourist arrivals and domestic tourists to the park tour of Borobudur Temple, so that the target of ten million tourists visit in five years as a tourist attraction can be achieved. He said, to support the implementation of the ballet stage, the institute works with airlines Garuda Indonesia which provides 15 percent discounts for students who use the services of this airline with flights between Jakarta-Yogyakarta-Jakarta. 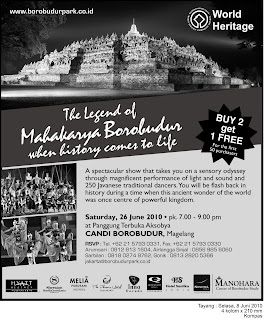 Garuda Indonesia also provides free tickets to the 50th ticket buyers "platinum class" Ballet Masterpieces of Borobudur in the garden tour of Borobudur Temple, Magelang, Central Java. 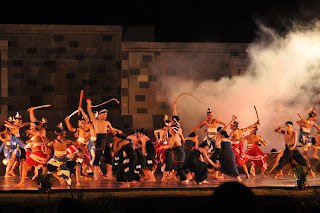 Ticket prices to watch this ballet class with platinum 80 dollar dinner facilities, transportation Yogyakarta-Borobudur PP, photos and souvenirs, while the gold grade 60 U.S. dollars with dinner facilities, transportation Yogyakarta-Borobudur PP and photo opportunities with the dancers. "The price of Rp200.000 per person class A, class B and class students Rp75.000 150,000 per person," said Agus Cany.